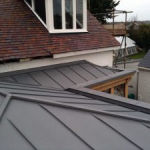 If you want your roof to maintain its original look, then it’s worth considering a metal roof. 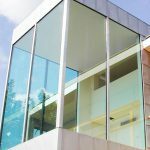 It will keep intact remaining timeless and untouched, forming part of the overall integral design and aesthetically pleasing look of your property. 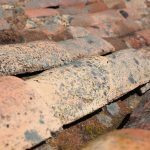 They’re extremely tough and durable, lasting up to and above 100 years! They resist corrosion and repel the elements seamlessly. They’re water tight, can stand high winds, easily cope with snow plus they’re resistant to rot, insects and mildew! So there is considerably less maintenance involved with a metal roof than other roofing materials. 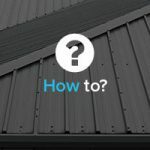 If for whatever reason you do have to carry out repair work to your roof, a fully supported metal roof can be accessed easily without having to worry about any breakages in the process. If you want to become greener then metal roofing is the way to go! A large amount of metals used for roofing are sustainable materials that have already been recycled and can be recycled again in the future. 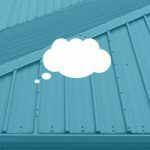 Although initial installation costs can be rather expensive, a metal roof can save you money in the long run. 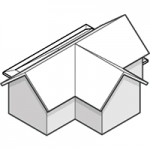 If properly maintained, repaired and insulated, a metal roof can save you money on energy bills. But the greatest money saver is if you plan to stay in the property for the foreseeable future, as you will definitely see a return for your investment. 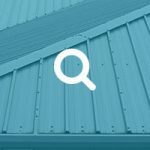 Choosing your roofing material is largely dependent on your situation and your requirements, however there are a substantial amount of benefits to a metal roof. The overall benefits tend to become more visible once it has been in place for roughly over ten years. 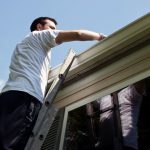 Generally speaking, this is when you will notice your energy bills decreasing and whereas most roofs will need to be repaired or replaced by this point, a metal roof will continue to serve you well, causing you no, or very little, hassle. To find out any further information about metal roofing materials, please call JTC Roofing today, your specialists in all aspects of metal-based roofing.